Originally published in 1991. This volume explores the combination of political and economic forces that influence different levels of food supply. The book begins with a discussion of famine theories, ranging from cultural ecology to neo-Marxism. Following this survey is a series of essays by anthropologists, geographers, economists and development practitioners that explores the role of Western institutions in African famine, analyzes famine in particular countries, and documents the relationship between famine and gender. 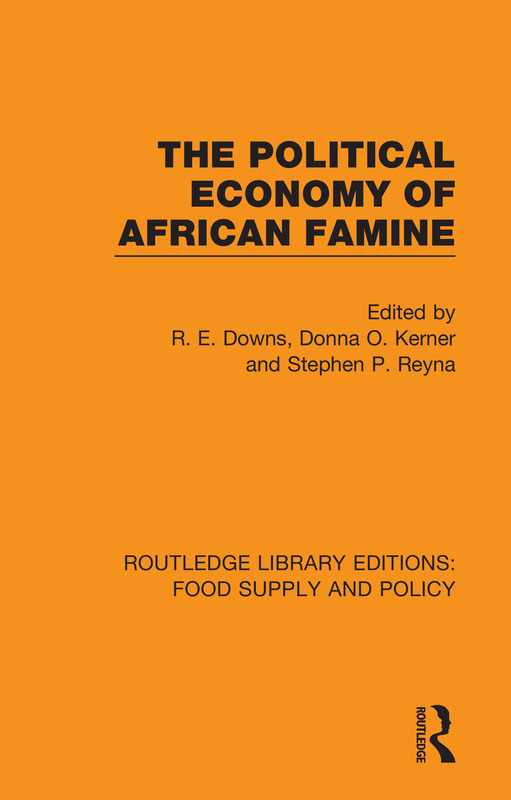 This book takes an unusually broad look at famine by including analyses of countries where hunger has rarely been studied and by examining African famine from both African and Western perspectives. Its concluding proposals for eradicating famine make innovative and provocative contributions to current global debates on food and nutrition.